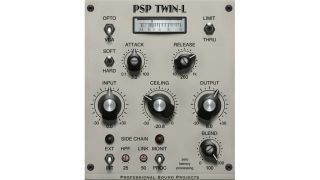 PSP Audioware has, once again, turned its considerable plugin development expertise to limiting, with the release of the dual-algorithm PSP Twin-L. Offering a wide range of shaping options, this is capable of emulating both VCA and Opto limiters, though it isn’t based on any specific hardware. Twin-L is one of PSP’s Zero Latency Processing plugins, which should be useful in live monitoring situations. It’s available in VST/AU/AAX formats for PC and Mac, and costs $69. You can also download a demo. Find out more on the PSP Audioware website.